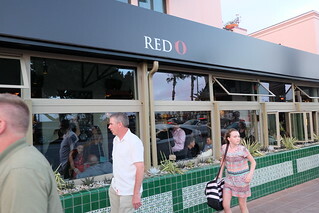 Celebrity chef Rick Bayless, recently extended his LA base of operations to include another Red O. Located on picturesque Ocean Avenue in Santa Monica, it’s just a hop skip and a jump from the iconic Santa Monica Pier. A pre-grand opening party was recently held there. The menu is similar to their original location on Melrose: appetizers, ceviche and raw bar, soups and salads, steak and seafood, other entrees and sides. Thanks to corn being the staple starch in Mexican food, almost everything on their menu is gluten free. The interior is modern chic. 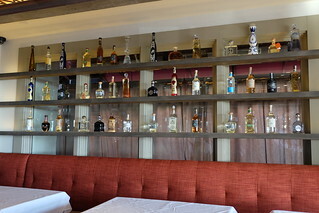 Premium tequila and mezcal bottles attractively line the walls. 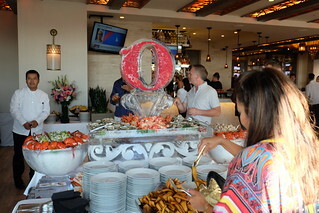 During the party, an impressive “Red O” tower of seafood commanded the interior. It was surrounded by two different types of Mexican ceviche, oysters on the half shell and crab legs. 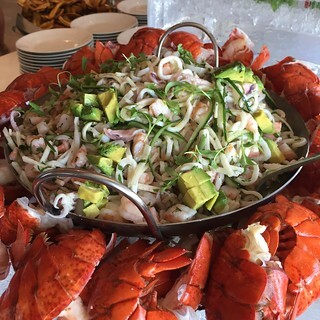 One of my favorites that evening was the Shrimp & Calamari Ceviche. It consisted of steamed Mexican white shrimp, calamari, orange, lime, habanero chiles, avocado, jícama and topped with cilantro. The citrus forward flavors worked well with the shrimp and habanero chiles. The other ceviche was made with fresh albacore tuna marinated in fresh lime juice. Chopped tomatoes, manzanilla olives, cilantro and serrano chiles were added and it was served with plantain tostaditas. 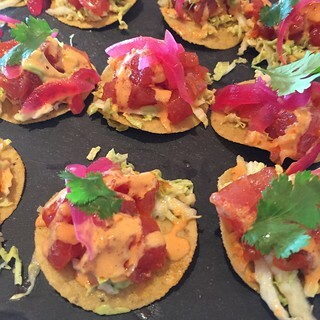 Yellowtail ahi tuna, chile-cumin oil, avocado, Napa cabbage, harissa aioli, pickled red onion and diced habanero peppers was carefully layered on a tostadita. Both the carnitas and the New York strip steak were delicious. 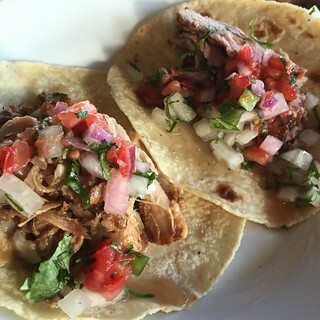 Like bread does for a sandwich, the quality and the taste of the masa harina made the difference in their tacos. 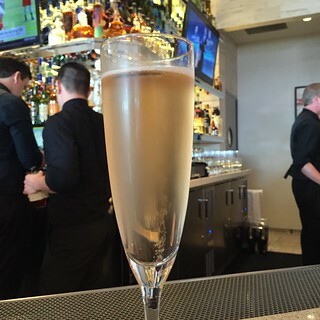 Both the LA and Santa Monica locations share their beverage menu and so you can expect to see some craft cocktails. In addition, their Happy Hour is from 5pm - 6:30pm daily.